So, here is a recap of my week- on Tuesday, I was reminding my husband that I would be taking a screenprinting class starting in two weeks which would run all summer, missing dinner two days a week, and enough work that I would have to start making it up on the weekends. Then on Wednesday I got a call from the college telling me the class was cancelled due to low enrollment. That was first thing in the morning. I went through the day thinking, now what? So, what is a disappointed person to do? I, for one, bought a little fabric and signed up for another swap. And bought a number of new English Paper Piecing templates for an ongoing project which I had stopped work on a month ago due to... running out of templates. And some lack of idea where it was going. The idea was to make an all red hexagon bed quilt, eventually, but I got bored. 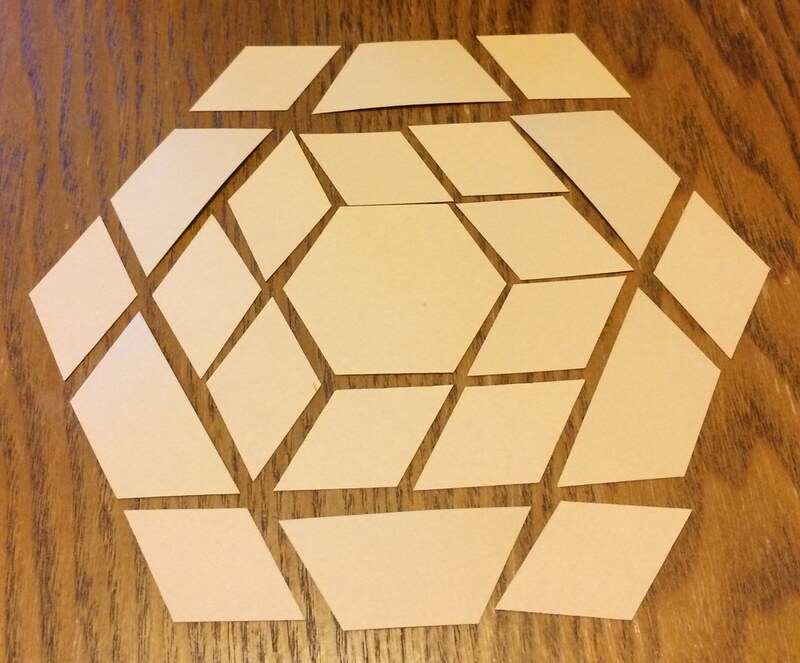 After cutting a zillion hexagons. I was throwing in some lighter ones, but I needed to start putting it together, and I was not inspired. So, that looks more fun. And I have the 1 1/2" HexEssentials fussy cut templates- a hexagon, a diamond, and a triangle, which are supposed to be used so you trace around the inside for the paper template and the outside for the fabric, but since my templates are smaller, the inside part is perfect for the fabric at least in the hexagons. (Admittedly, I'm not clear as to why the others aren't similarly swamped, but where I can't use the inside, the outside is better than nothing. 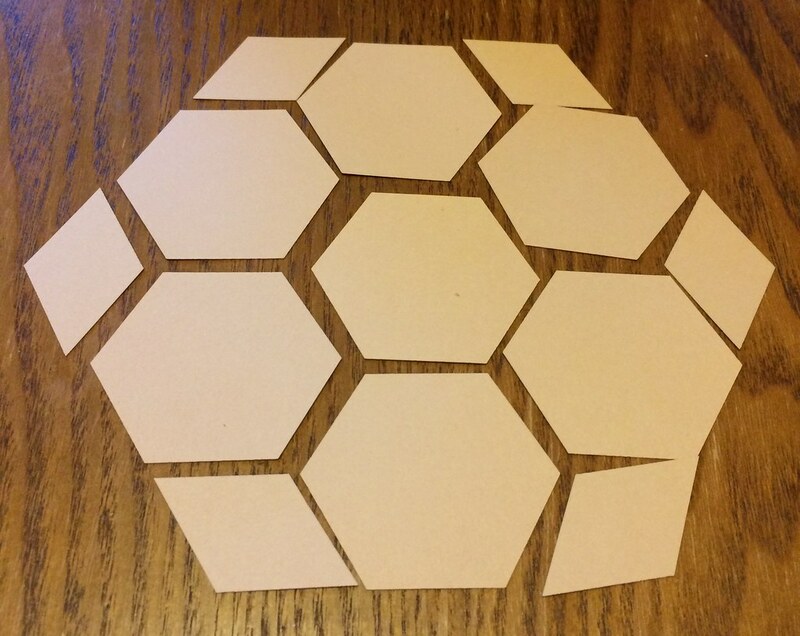 And my sad half hexagon template is made of wrapping paper. I could probably do better. In this one I wanted to do some rosettes, and now have to work out a way to get a triangle to become 15" square to make a pillow cover. I always hit these walls of indecision! I haven't even picked out the fabric, and everyone knows that's the best part of a project! This is interesting to see! I don't have any epp projects in progress (I've only done one so far.) i have the plastic tenplates, but I want to start using papers. I ordered a hexagon punch from amazon, but I might see how expensive the papers are that you link to. 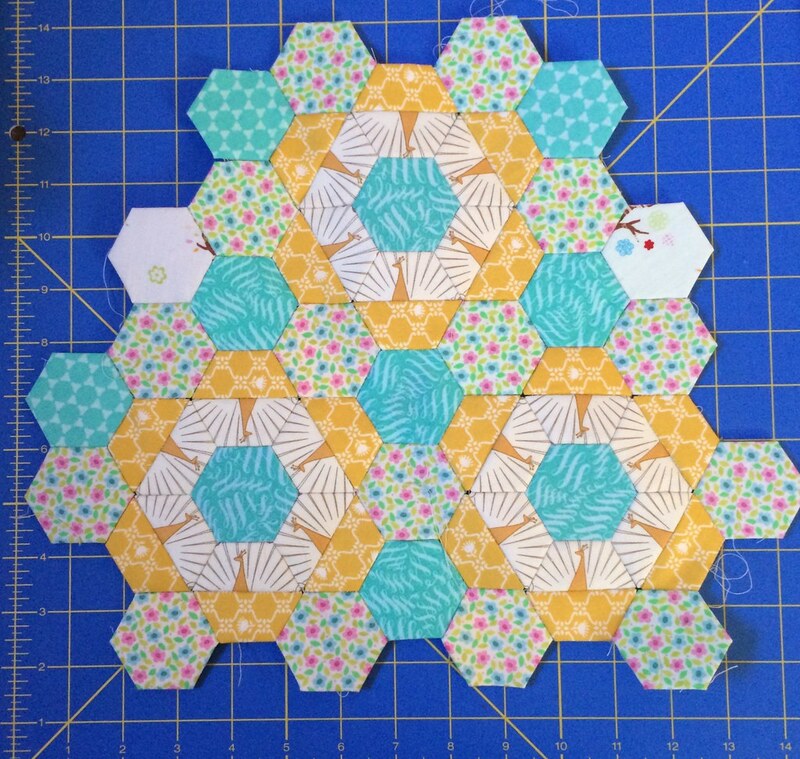 I had thought punching my own hexies would be cheaper, but I want to play with other shapes, too - papers seem like the way to go now. That's an interesting point! I had not considered the relative expense. 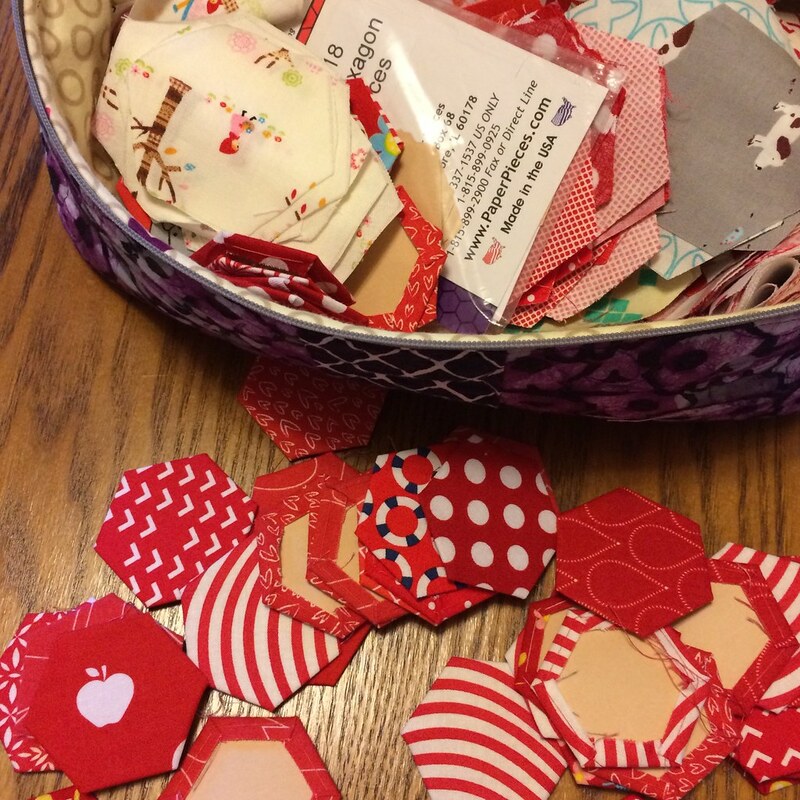 But, I have bought dies for my sizzix big shot to cut out hexies (1, 1 1/4, 1 1/2", though there are more) and I cut fabric with the 1 1/2" thinking to use it on the 1 1/4" papers, but it did not work. There was not enough fabric for seam allowances. 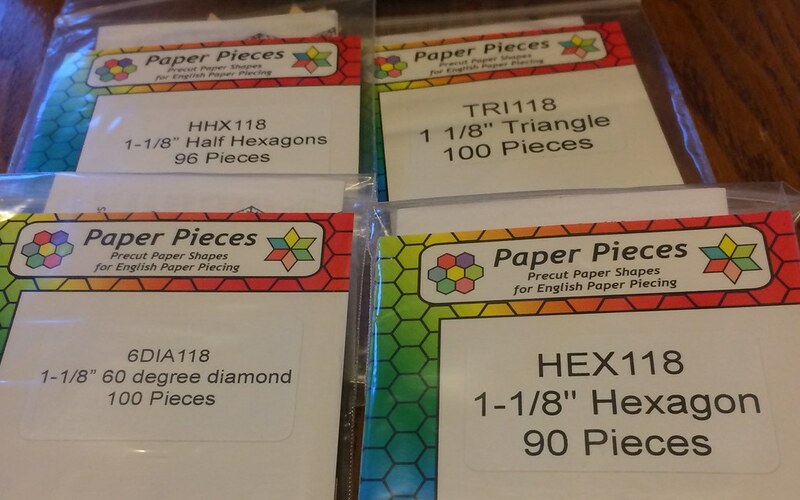 Then I ordered the 1 1/8" size papers from PaperPieces.com because I did not want to go down all the way to the 1" hexy. I did not pull this weird size out of the air. It was forced upon me! 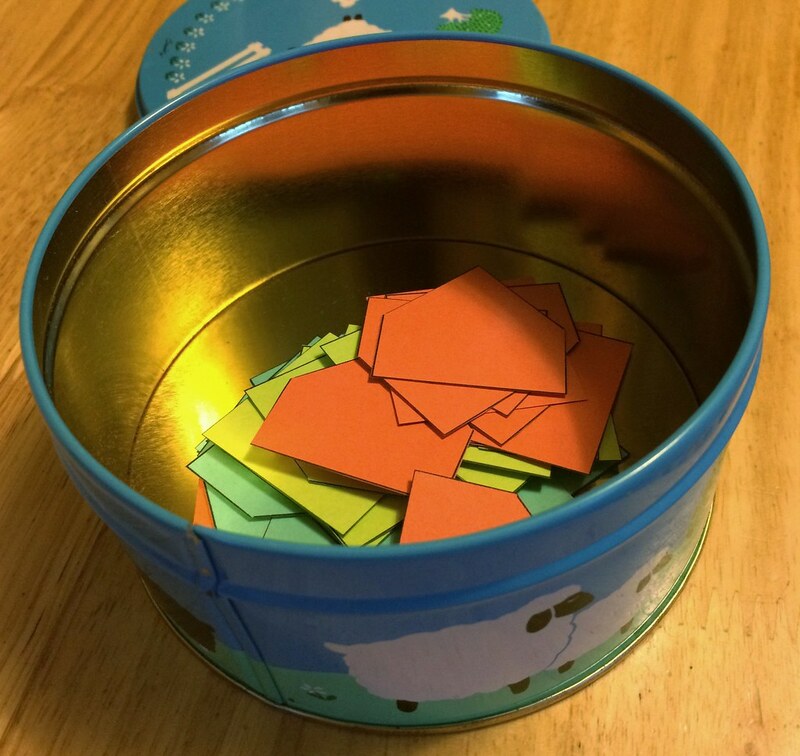 So I pretty much soured on cutting my own papers with the dies. I do like them to cut fabric though. 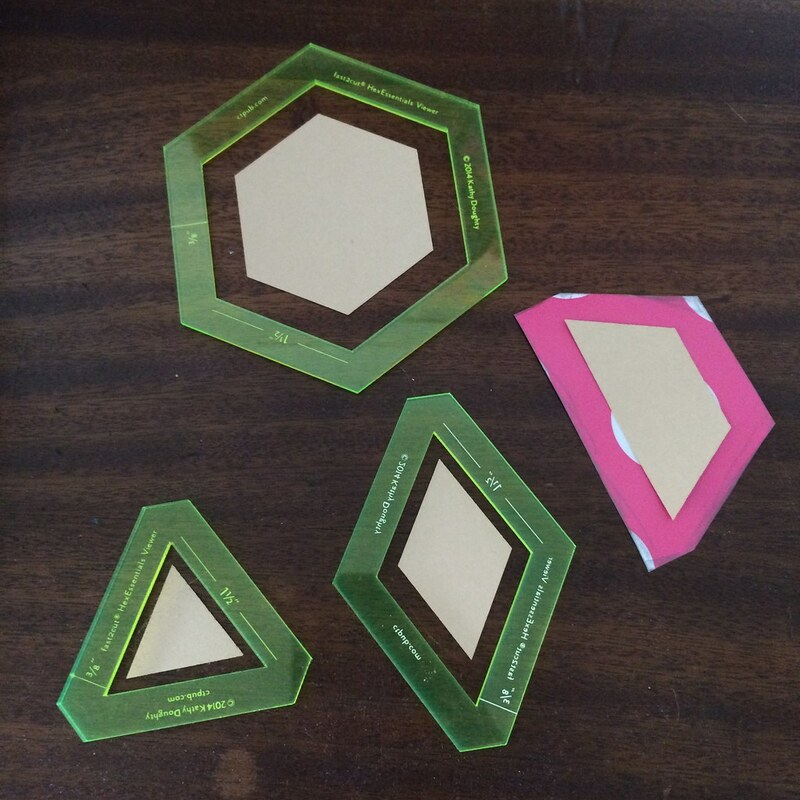 As for odd shapes, I make templates in Illustrator, print them out on cardstock, and cut them out with scissors. Which at least saves drawing them over and over. Though I suppose I'll have to do that on the fabric! hmmm.